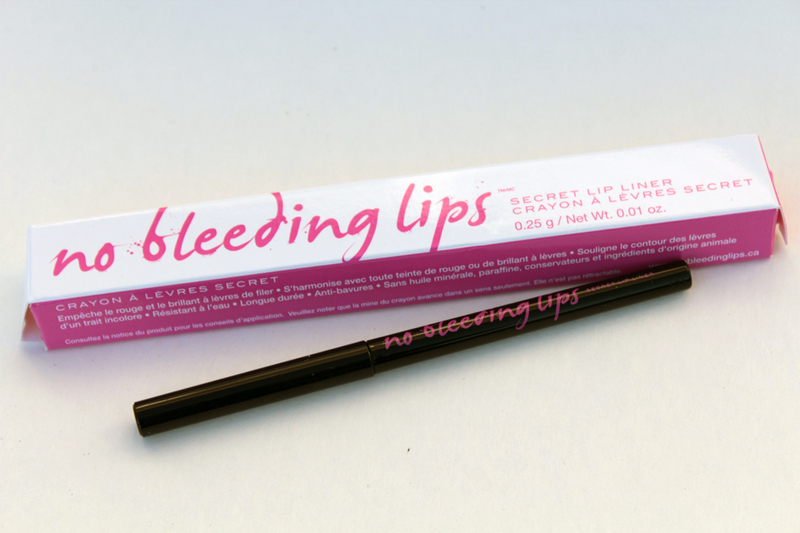 No Bleeding Lips Secret Lip Liner is a brand new product that has made it's way to Canada. Thanks to Loose Button, I was able to give it a try and also give one away to one of you! 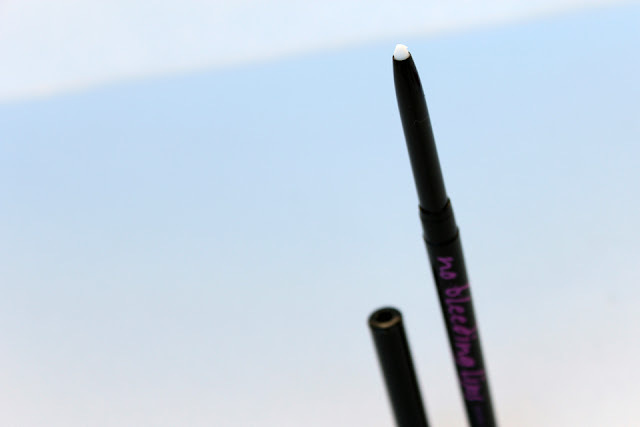 What makes this lip liner different from one you may already own? Well, the premise behind this lip liner is that it's supposed to prevent / stop your lipstick or lip gloss from bleeding or feathering after you apply it. I've tried it a couple times and it worked nicely. I think it's the perfect product to have if you're a fan of a bold lip. How it works? Well, it applies clear (you can't even tell you're wearing anything) and it creates a barrier around your lips to prevents your lip product from moving. How to use it? Simple. Apply it before any lip products, and instead of applying it on lips or lip line (like normal lip liners), you're going to apply it around the perimeter of your lips. It's strange, but it works. How long does it last? Not bad. I typically just reapply it when I reapply my lipstick / lipgloss (usually between 4 to 5 hours). It does claim to be waterproof. I can't attest to that, but I will say that my lipstick stayed in place even after a beverage. Since it's clear, it will work with any lip product you own, no matter the colour. Check out the video below of my quick review / demo! It's simple, just fill out the Rafflecopter form below for a chance to win. One stipulation: this giveaway is only for Canadian residents (because Loose Button will be shipping the product directly). Giveaway will end on October 5, 2012 at 6 p.m. EST. The winner will be posted on my blog, Facebook, and Twitter. After contacting the winner, they will have 24 hours to reply (after that I will be picking a new winner). Oh forgot to add that I still like a bright red lipstick to contrast dark colored clothing. Def a product like none other, would love to try it! I like reds for fall! I love neutral shades of pinks on the lips to go with rosy cheeks! Nothing to do with the season, but at the moment my favourite lip colour the sweetheart revlon balm stain, so bright pink! I love a natural, neutral pink. Although I would love to try a bold red lip...I'm just too chicken. I don't have a favourite ! Anything I feel like wearing! Thanks for doing this giveaway! My favourite lip colours for the fall are Lancome Rouge in Love in #275 Jolie Rosalie and MAC Fire Sign. I'm loving this Paul and Joe lipstick in 072. Basically it's an bright orangey-red shade :). I love a rich red colour my favorite red is "Red Lizard" from Nars!